Sean is the Golf Channel Academy Lead Coach at the Golf Channel Academy with Sean Lanyi at Tri-Mountain Golf Course in Ridgefield, Wash., located about 30 minutes north of Portland, Ore. A PGA Class “A” Member, Sean is the former Lead Instructor at the Nicklaus Academy at DragonRidge CC in Las Vegas, Nevada, and a former PGA Teaching Professional at the Kapalua Golf Academy on the island of Maui in Hawaii. His many teaching mentors include Golf Magazine Top 100 Teachers Mike Malaska and Jerry King, Golf Digest 50 Best Teacher Stan Utley, and AimPoint founder Mark Sweeney. A U.S. Kids Golf Top 50 Master Kids Teacher in 2017-’18, Lanyi was also recognized as the Southern California PGA Section’s Junior Golf Leader of the Year in 2014 for his leadership in junior golf and providing the nation’s youth with opportunities and experiences to learn and play golf. 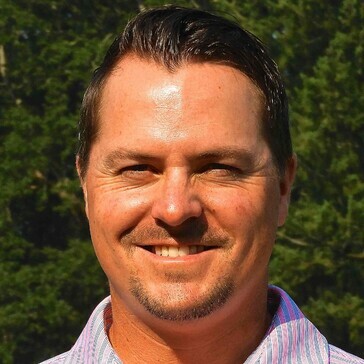 He is an AimPoint Express Level III Certified Instructor and is also certified by Putt Doctor, Blast Motion Golf, BodiTrak (for Golf Ground Mechanics), K-Vest and U.S. Kids Golf. Sean has worked with a number of PGA Tour, Web.com and LPGA Tour players, primarily in the areas of putting and the short game, and also works with numerous Division I college athletes at such notable schools as USC, UCLA, Oregon, Yale, Gonzaga, Montana and the University of Texas. Sean specializes in junior golf player development, helping players develop their skills to play their very best and reach their full potential!